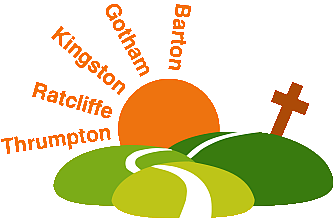 We are one Christian family worshipping in five villages along the A453 — Barton-in-Fabis, Gotham, Kingston-on-Soar, Ratcliffe-on-Soar, and Thrumpton. The communities in which we live have ancient roots, as do the buildings in which we gather. We meet together as God’s family united by God’s Son Jesus, as our Lord and Saviour; and as we meet week by week for fellowship, praising our heavenly Father and hearing Him speak to us through the Bible, we seek to encourage one another to live as His obedient children. As Anglican churches, we belong to the Diocese of Southwell and Nottingham within the Church of England, but our local church family is made up of people from different denominations, and you will be made welcome whatever your spiritual background. With 5 churches our pattern of services changes from week to week, so do check the calendar to see where and when we are meeting; and if this is your first visit you might appreciate knowing what to expect. You’ll find information on our churches and our various activities here on this website, but if you need to know more then please contact me, Richard Coleman. You can also find us on Facebook. If you would like to know more about how knowing Jesus, and God as your Father, brings meaning, purpose and fulfilment to our lives, and how we can know God personally, then why not visit the Knowing God website. You can be assured of a warm welcome in all our churches. There is a problem accessing the verse of the day. Your browser may not support the object tag. You might like to try accessing the verse of the day at the BibleGateway website. © 2018, The 453 Churches - All rights reserved.